The southern area of New South Wales is home to five of Australia’s highest peaks. The highest, Mt Kosciuszko, rises above all at 2228m. These magnificent peaks are all part of the aptly named Snowy Mountains, where large snowfalls draw huge numbers of holiday skiers every winter. 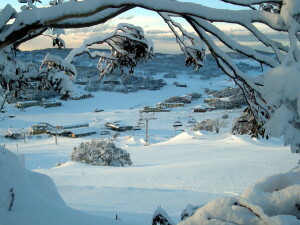 The Snowy Mountains is the centre of snow sports and winter activity in Australia. The ski season usually begins in early June, and lasts till the first weeks of October. Kosciuszko National Park, situated within the Snowies, further provides lots of adventure off the trails. Beautiful gum forests and alpine meadows make this Australia’s most exciting location for scenic day walks. Rare plants and animals are also found all over the rugged terrain. The Snowy Mountains area is quintessential Australian outback-wild, pristine, and unbelievably adventurous. This Aboriginal settlement attracted huge inter-tribal gatherings and feasts for 20,000 years. 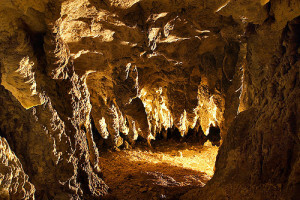 It was first explored by Europeans in 1835. Cattle grazers then frequented the area during the summer, living in scattered huts around the mountains. The discovery of gold deposits at Kiandra in 1859 attracted a 4000 strong community and 14 hotels. Recreational skiing began in the 1860s, and sustained the town long after the end of the gold rush. The town finally descended into ruins a century later, as better slopes in the southern Mt Kosciuszko region took precedence. Began in 1949, the Snowy Mountains Hydroelectric Scheme fuelled a major boom in the area for three decades. It drew immigrant workers from Europe, and made the mountain ranges more accessible through large scale infrastructure projects. It was this scheme that encouraged the development of the ski industry, elevating Thredbo and Perisher into world class ski resorts. This is Australia’s largest ski resort, with 1,245 hectares of terrain served by 47 lifts. Located within the Kosciuszko National Park, Perisher is made up four main areas- Guthega, Perisher Valley, Smiggin Holes, and Blue Cow. This resort can be relied upon to provide season long skiing conditions, with 236 snow guns to guarantee adequate snow. All snow sports are available at Perisher’s seven terrains. They include night skiing, snow-shoeing, cross country skiing, snowboarding, and Nordic skiing. There are also plenty of other activities, such as fireworks displays, scenic chairlifts, Australia’s single half-pipe, Ski-tube railway, and the snow tubing park. Delight in fantastic mountain scenery, and relax in numerous well appointed cafes and pubs. Go shopping at chic retail stores, before partying through the night. The Thredbo River flows through a magnificent valley, where a quaint and scenic village is located. This lovely village is full of European charm, with an amazing collection of choice restaurants and delightful pubs. Thredbo offers the closest approach to Mt Kosciuszko by chairlift. 480 hectares of snow covered terrain are available for beginners and advanced skiers. The terrain at Friday flat is tailored for beginners, with intermediate skiers getting up to speed at Cruiser. Expert skiers will find their match at the Supertrail, which has a fantastic drop of over 600 meters. This is a highly affordable and family friendly ski resort in the Snowy Mountains. It is situated in the northern section of Mt Kosciuszko national park near Kiandra. It is also the northernmost of all ski resorts in the country. This is the perfect starting point for beginners. You can progress through intermediate terrains, before tackling the advanced Racecourse Run. It consists of 45 hectares served by 11 lifts, which include a rope tow, chairlifts, pomas, and a platter. Charlotte Pass: At an elevation of 1765m, this is Australia’s highest ski resort and has the most consistent snow fall. It can only be accessed by means of over snow transport in the winter. Easy Starter, Kosi Coaster, Sidewinder, and Guthrie’s Chutes offer progressively challenging runs for beginners and expert skiers. This resort has great accommodation options, fantastic scenery, and spectacular mountain adventures. Fly fishing: Trout is abundant in the magnificent Lakes Jindabyne, Eucumbene, and the Khancoban Pondage. The Snowy River is a must for every fishing enthusiast. Lessons are available for beginners, and all equipment can be purchased at local stores. Mountain biking, rafting, hiking, archery, canoeing, abseiling and rock climbing. Golf at Thredbo or Cooma, two fantastic courses in the Australian Alps. Thredbo Golf Course is Australia’s highest, and features breathtaking views. 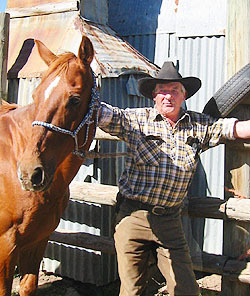 Go horse riding through scenic hills and trails, or explore Snowy Wilderness. Tour the Stone Bridge and the great Matong Gorge. Water skiing and boat rides on Lake Jindabyne and Khancoban waterways. Follow the scenic Kosciuszko Alpine Way through the Snowy Mountains, from Canberra to Victoria. Explore the 5 glacial lakes in Australia- Blue Lake, lake Albina, Club \lake, lake Cootapatamba, and Headley Tarn. Visit Australia’s highest inhabited town, Cabramurra at 1488m. The Snowy Mountains has lovely historic towns, full of country charm and scenic sights. They include Adaminaby, Cooma, Tumut, Dalgety, Nimmitabel, and Tumbarumba. Each of these towns can be explored easily on foot. Do not miss the 12km Hume and Hovell Track, which leads to Tumbarumba Creek. Take the 2km trail next to the Tumut River to the Riverglade Wetlands as well. All these trails are also perfect for biking. This is Australia’s largest engineering project, made up of 16 dams and seven power stations. It took 25 years to complete the damming of the Snowy River and its tributaries. 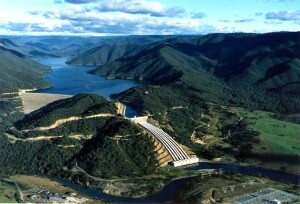 This created 5 major lakes- Blowering Dam, Talbingo Dam, Lake Eucumbene, Tantangara Dam, and Lake Jindabyne. Visit the state of the art Snowy Scheme Discovery Centre at Cooma, for insights into the entire development of the project. Extensive photos, exhibits, models, and interactive displays detail the awesome story of this man made wonder. The Snowy Scheme Museum at Adaminaby also documents the achievements of the workers and engineers who laboured on this massive project. The entire Snowy Mountains area has a well developed hospitality industry with accommodation in Thredbo to Jindabyne, the Alpine Way, Perisher and Adaminaby. Bed capacity has been boosted by the NSW Government with new developments featuring beautiful architecture and luxury decor. Every resort has something to offer to all types of visitors. From top of the range chalets, to backpacker lodges and campsites, the Snowy Mountains is your home away from home. What sets the Snowy Mountains apart is the sheer variety of attractions in a magnificently breathtaking environment. Enjoy the country atmosphere in the mountains, and feel welcomed by the world famous charm and hospitality of multicultural Australia.